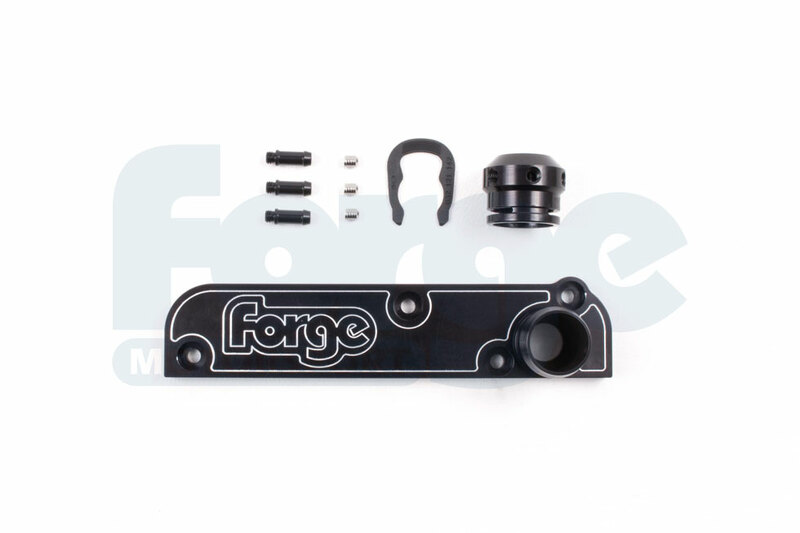 but if you want a cheaper and more simple solution you can delete the PCV and divert the breathing to the rear cam cover outlet only, by using our Forge Motorsport PCV Delete kit. Simply put it removes the PCV and links the two internal ports together which emulates what happens inside the stock PCV when the engine is on boost, but without any fragile components to break or split. 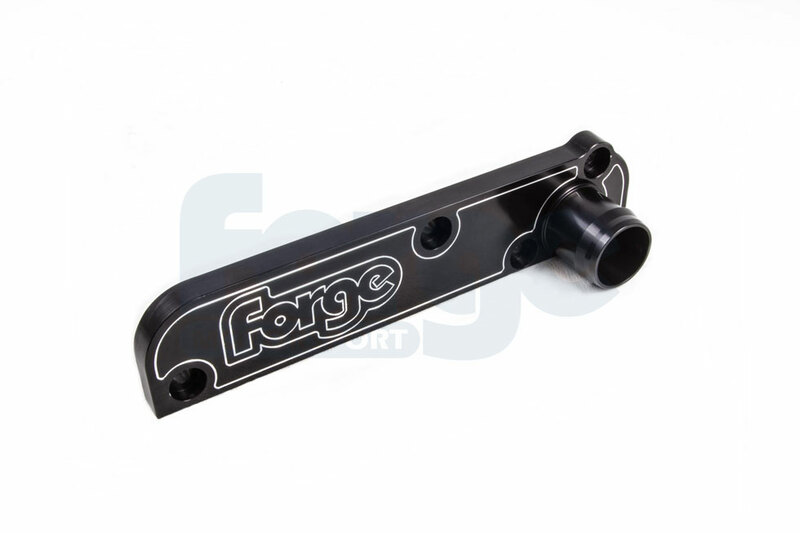 Nothing detrimental happens to the engine by doing this, but it completely isolates the inlet manifold from the cam cover. 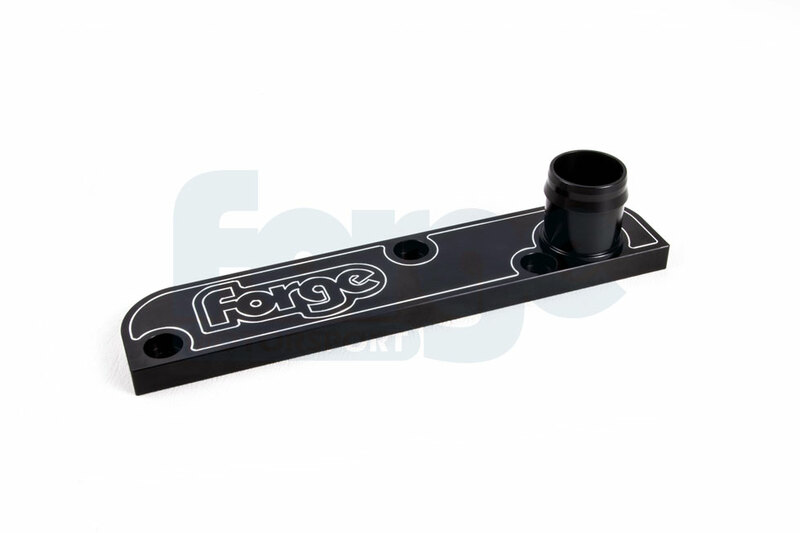 The kit also blanks off the port on the end of the inlet manifold that used to go to the PCV, and replaces it with our FMBGFK2 boost gauge fitting kit. This comes complete with 3 vacuum hose takeoffs and blanking screws so you can run a boost gauge, water spray controller etc. or you can blank them all off, it’s up to you. The kit comes complete will all parts necessary for installation and a full set of instructions.